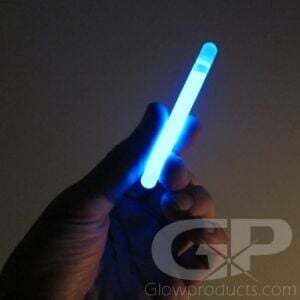 - Premium 6" Glow Sticks last 12 Hours! 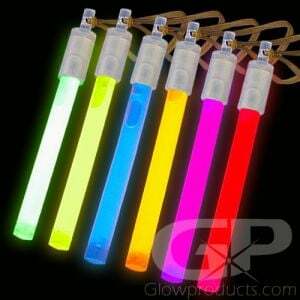 - High Quality Industrial Strength Glow Sticks! - Individually Packaged - Long Shelf Life! 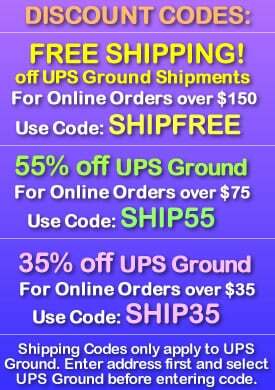 - Ideal for both Safety and Recreational uses! 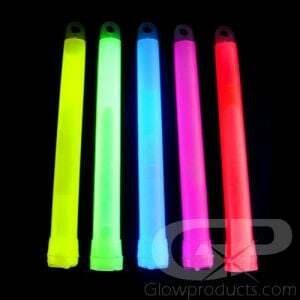 Premium 6 Inch Glow Sticks with 12 Hour Glow are bright industrial strength glow sticks ideal for safety and emergency lighting, glow parties, instant patio lanterns, area markers and personal safety markers. Use 6 inch glow stick lights for a great glow effect at special events like receptions and concerts. Night Golfers use 6 inch glow sticks to mark out hazards, tees, fairways and pins. An amazing source of waterproof, non-sparking, non-heat producing glowing light, the 6 inch 12 hour safety glow stick is safe to use in any environment - even underwater! And each 12 hour 6" glow stick comes with a handy clip hook! Individually foil packaged with a 5 year shelf life. 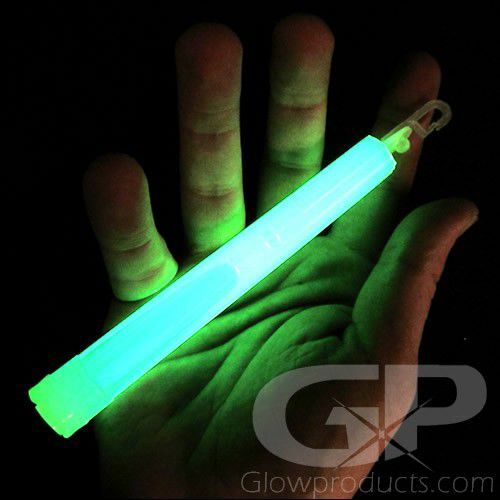 From emergency lighting to markers for night sports, the 6 inch glow stick can do it all! Instructions: Bend the Glow Stick enough to break the internal capsules. Shake to mix and start the glow reaction! 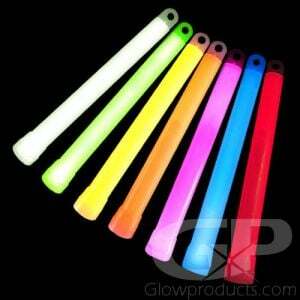 Premium Glow Sticks have pre-attached safety hooks which can be removed to make a lanyard hole. MSDS sheets are available upon request, call toll-free at 1-877-233-4569.